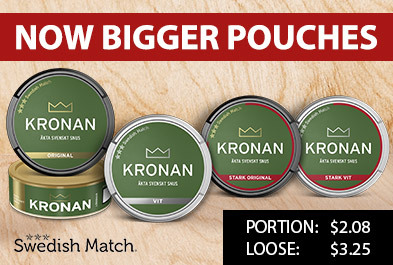 General Portion has become a real classic in the snus world. With its rich and spicy tobacco flavor, you'll also find elements of citrus spicy bergamot and tea, dried grass and leather. The combination of spice and acidity makes the snus well balanced.General is one of the world's largest snus brands and is sold in huge quantities in Sweden and throughout Europe. 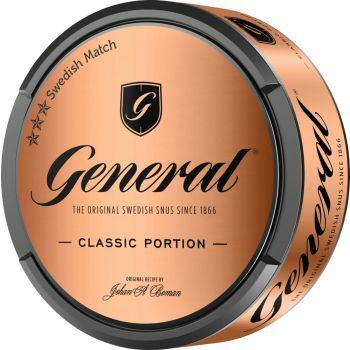 A popular brand in the late 19th century and still today.The name General has, unlike what you might thing, nothing to do with the military rank.